Angry residents say their views have been overridden and ignored by a quango that has given permission for a controversial nightclub on the fringes of the Olympic park. London Thames Gateway Development Corporation (LTGDC) yesterday approved outline planning permission for a nightclub on Fish Island, despite vocal objections from residents who say they have been ignored throughout the process. 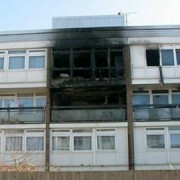 Michelle Gabriel, 44, chair of the Association of Ironworks Residents, told EastLondonLines: “We are appalled, because the arguments against were very strong. We don’t feel our voice was heard. H.Forman & Son are behind the nightclub, which will be situated at Swan Wharf, Dace Road, directly across the river from the Olympic stadium and just metres from almost 200 residents at Ironworks. The ‘temporary’ venue, which will run from April to September 2012, has a proposed capacity of 8,000 – making it London’s largest nightclub. 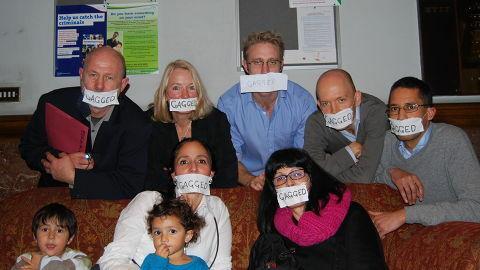 Residents, who wore ‘gags’ over their mouths in response to LTGDC’s public speaking rules which allowed them a maximum five minutes to present their case, challenged what they called the corporation’s “undemocratic” process at yesterday’s committee meeting in Stratford. Frank Luke, 60, whose home faces the Olympic site, said: “My family and I have lived at Lock College for nine years, and we’re 30 metres from the Forman site. Life will be made impossible for us; we’ll be deprived of our house. Why is this not considered by Stephen Allen [case officer, LTGDC] in his report to the committee? Michael Roberts, 53, a landowner on the island, said his front gate would become a taxi pick-up point. LTGDC is a non-departmental government body with planning powers and the ability to buy and develop land. 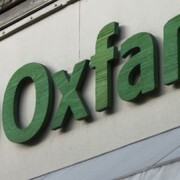 Residents argue that legitimate reasons against the application, submitted by themselves and Tower Hamlets council, were overlooked in the corporation’s report. Tower Hamlets council initially rejected the application due to concerns about its scale, inadequate transport network and its effect on surrounding residents. However LTGDC, an unelected body which exercises public functions, has ultimate say on planning issues for applications over a certain size. Meanwhile Bow East councillor Marc Francis raised the issue of politicians from in different boroughs exerting ‘influence’ on matters in Tower Hamlets. “… I note that the only representations submitted from the London Borough of Newham is a statement of personal support for the application from Sir Robin Wales. 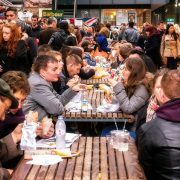 “I am surprised to note the Mayor of one authority trying to influence the outcome of a controversial planning application in a neighbouring borough, which he does no represent or have any democratic responsibility”. Fish Island residents say they will continue to oppose this project in Tower Hamlets and future LTGDC committees.